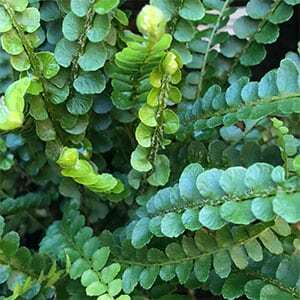 If you are looking for a fern for hanging basket then Nephrolepis Ferns are worth considering. With long arching fronds and rich green leaves, they put on a great display of foliage in large containers as well. Nephrolepis Ferns have been a popular house plant for many years. Nephrolepis exaltata Bostoniensis is the ‘Boston Fern’ and is one of the best known species. These are an attractive hardy plant for growing indoors in containers, however they are equally at home in the garden. Nephrolepis Ferns are also sometimes referred to as Sword Ferns, depending on variety. Nephrolepis Exaltata (Boston Compacta) is popular smaller growing variety. 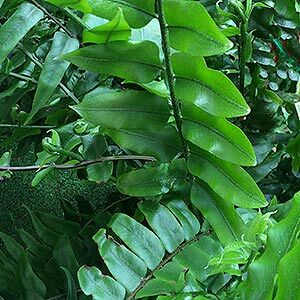 Nephrolepis Ferns prefer a moist shady position and do well in containers indoors. A well lit area but with indirect light is best. These are an excellent fern for growing in hanging baskets and containers. Keep moist all year round – Consider drip irrigation for easy care. Fertilise during active growth with a liquid seaweed fertiliser every 3 weeks. Old spent fronds can be pruned away to improve appearance.